Earlier this month, Princess Stephanie of Monaco, the daughter of the princess and American actress Grace Kelly, came out in defense of using animals in circuses. She excused the use of animals in entertainment in Monaco as tradition stating: "This is part of our cultural heritage." That excuse has been used by a lot of cultures to defend a lot of not-so-good things. It rarely holds water. While tradition is something to be revered, sometimes, they must change in the name of what is right. That is why city, state and national governments have been banning the use of animals in entertainment all across the world. These governments recognize that it is no longer ok to treat animals as mere props for the entertainment of people. And the city-state of Monaco should do the same. It&apos;s time Monaco join Italy, Belgium, Austria, El Salvador, Sweden and a whole host of other national and local governments in putting an end to the animals in entertainment industry. 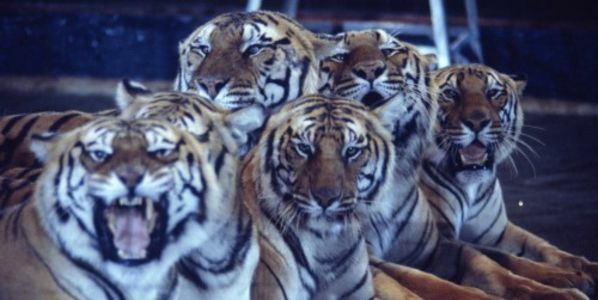 Please sign the petition and ask the government of Monaco end the use of animals in circuses.